Mr. Musorrafiti (Moose) founded EPS Corporation in 1983, where he built his legacy with his wife and daughter by his side. Since the company’s inception, he remained actively involved in the day-to-day management of EPS, overseeing company activities and seeking out opportunities and acquisitions in the areas of communications and systems engineering to broaden the company’s corporate technical base. Moose was a 1953 graduate of the U.S. Naval Academy and served in the U.S. Navy for 22 years, retiring as Commander. His love for our country was only surpassed by his love for his family. He was forever a gentleman, well respected in the community, a loving husband and an amazing father. He will always remain the heart and soul of EPS. Ms. Musorrafiti, Chairman, Chief Executive Officer and President, was instrumental in the founding and development of EPS Corporation since its inception in 1983. Understanding the heartbeat of what makes EPS tick, she is responsible for the company’s continued growth and success based on the foundation built by her father. She works closely with her Corporate Strategic Team, Chief Financial Officer and Division Leaders operating under the strong belief of ONE Company, ONE Team, ONE Goal. Ms. Musorrafiti also takes on the task of Chief Information Officer, assuring that our company infrastructure is strong and secure. Believing that internal communication is vital to the company’s success, her hands-on management approach provides EPS personnel a direct line of contact with her. Ms. Musorrafiti has a current position on the Marjorie K. Unterberg School of Nursing and Health Studies Advisory Council for Monmouth University. 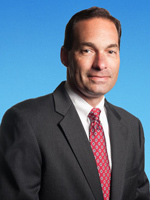 Mr. Gagliano, Executive Vice President, Chief Operating Officer and General Counsel, has been with EPS since 2002. He provides operational control of the company through planning, policy-making and coordinating between all departments and divisions, creating policies and procedures and administering all contracts and agreements. He identifies and implements policies to improve the operating efficiency of the company and collaborates with the management team to develop and implement plans for the operational infrastructure of systems, processes and personnel, designed to accommodate the rapid growth objectives of the company. 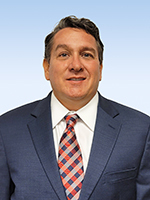 In addition, Mr. Gagliano provides day-to-day leadership and management, primarily focusing on ensuring that the operating divisions represent the company’s mission and core values. As a key member of the Corporate Strategic Team, Mr. Gagliano oversees and identifies legal issues in all departments and their interrelation, including Contracts, Business Development, Finance, and Human Resources, at the corporate level and within the divisions, establishing corporate governance and business policy. Prior to joining EPS, Mr. Gagliano was in private law practice in Arlington, VA. He is a graduate of Brown University and Georgetown University Law Center. Mr. Gagliano holds memberships in the American Bar Association, the New Jersey and Virginia State Bars, the District of Columbia Bar and the American Corporate Counsel Association. 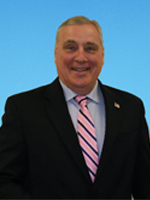 Mr. Gagliano’s business community involvement includes memberships in the National Contract Management Association, the Armed Forces Communications Electronics Association and the Association of the United States Army. 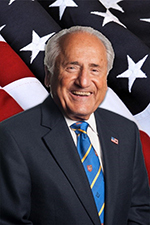 He is a member and former Chairman of the Monmouth County Workforce Development Board, Board Member and Counsel to the Monmouth-Ocean Development Council and is a Board Member of the American Red Cross-Jersey Coast and South Jersey Chapters, Einstein’s Alley and The Jersey Shore Partnership. Mr. Armstrong, Executive Vice President and, Chief Technology Officer (CTO), joined EPS in January 2013. In his role as Executive Vice President / CTO, he provides the leadership, management and strategic vision necessary to ensure that the company is aligned with an effective mindset for growth with people-systems in place to sustain that growth. He motivates and leads a high-performance management team, recruiting new executive team members as requirements develop, and provides mentoring as a cornerstone to the development of senior staff. He is a key member of the Corporate Strategic Team. 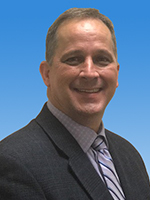 Mr. Armstrong also serves as General Manager of the Mission Support Services Division operating out of Panama City, Florida. His responsibilities include strategic planning, business development, proposal development and direction of programs. Mr. Armstrong strives to create an environment within EPS in which employees are empowered to perform their duties in a responsive, professional, and cost-effective manner for each of our customers. 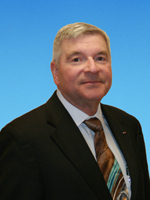 Mr. Armstrong has 31 years of combined experience in support of the Department of Defense and private industry. 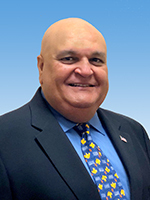 His experience includes duties as a Senior Federal Civilian Service Executive, department head in industry and active duty military service in the U.S. Navy. He is certified Level III in Acquisition Program Management, was a member of the DoD Acquisition Professional Community and he received a David Packard Excellence in Acquisition award and a Meritorious Civilian Service award during his tenure at PEO C4I (SPAWAR, San Diego, CA). 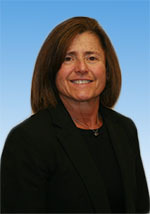 Ms. Moran, Senior Vice President and Chief Financial Officer (CFO), has been with EPS since 2000. She is responsible for the finance and administration of the company, directly managing a staff of over 15 employees. With the support of her staff, she ensures the financial stability of the company to include budgeting, general accounting and payroll. She supervises and monitors the development of program budgets, the preparation of annual financial reports and audits of various programs and financial reports for review by government directors and senior EPS management. She maintains continuous interface with administrative contracting officers and Defense Contracts Audit Agency representatives and is instrumental in creating new policies and implementing automated solutions for the continued growth of EPS. Prior to joining EPS, Ms. Moran held positions with the VNA of Central Jersey and the O’Connor Group, NY. Ms. Moran’s business community involvement includes memberships in the Armed Forces Communications Electronics Association, the Association of the United States Army, and the Army Aviation Association of America. She holds a Master’s degree in Accounting from Kean University where she also earned her Bachelor’s degree. Mr. Brooke, Senior Vice President, Business and Capture Development, joined EPS in December 2013 and brings over 32 years of proven performance in systems engineering, program management and business development leadership. His focus is on delivering customer-centered results and programmatically increasing value and profitability. His expertise in strategic capture strategy has made him an excellent addition to our Corporate Strategic Team. Mr. Brooke has demonstrated success in developing capture strategies, building teams, winning programs, following projects through to completion, and maintaining exceptional customer satisfaction while establishing trust and loyalty. He brings incomparable experience in DoD IDIQ-GWAC capture management, logistics systems development operations/integration and professional engineering services in addition to inspiring a loyal, highly productive and innovative Business Development Team. Prior to joining EPS in 2013, Mr. Brooke held leadership positions in program management & business development with TRW/Northrop Grumman (19 Years), Cimarron Software Services and Principal Technologies. He is a Six Sigma Certified Green Belt and attended Central State University where he received his Bachelors of Science in Computer Science (1983). Mr. 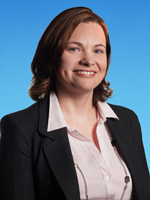 Merchant, Senior Vice President and member of our Corporate Strategic Team, joined EPS in 2013. The successes that he has brought to EPS as General Manager of the Information Management Solutions Division have proven his value towards our goal of company growth. He continues to expand his service base to pursue opportunities in software development and cybersecurity projects, while continuing to expand the logistics support services EPS provides its customers. He is a recognized Subject Matter Expert in Interactive Electronic Technical Manual (IETM) design and implementation and on information management applications. Mr. Merchant is an active member of several standards and business community committees and holds officer positions on many of them. Prior to joining EPS, Mr. Merchant owned and operated an information management consulting business for 17 years. He attended the Polytechnic Institute of New York University where he studied Technical Writing and Specialized Journalism. 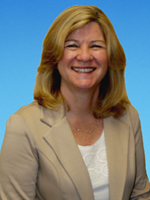 Ms. Meritzis, Vice President, Human Resources, has been with EPS since 2002. She has held various roles in the Human Resources Department beginning with Recruiter, to Director of Human Resources, to her current role as Vice President of Human Resources, performing in this capacity since 2006. Ms. Meritzis serves as an advisor to management on all aspects of human resources and is instrumental in the successful implementation of new, online on/boarding and off/boarding procedures for EPS employees located worldwide. Ms. Meritzis holds a Master’s degree in Communications from Seton Hall University and a Bachelor’s degree in Business from Rowan University. She is a member of the Society of Human Resources and the Jersey Shore Association of Human Resources and she holds Senior Professional Human Resources (SPHR) and SHRM-SCP certifications. Dr. Relyea, Vice President Strategic Capture, provides his expertise to the Proposal Development Department and collaborates with the EPS leadership team to plan the capture processes for large task order prime pursuits, large open market prime pursuits, and IDIQ and BOA prime pursuits. In addition, he leverages his knowledge and experience to contribute to improving the quality of company bid decisions and proposals. Dr. Relyea joined EPS in 2003 and has contributed to several of the company’s major contract wins since that time. Prior to joining EPS, Dr. Relyea held a variety of technical management positions at Bell Laboratories and AT&T. Dr. Relyea studied under faculty at the University of Florida’s Quantum Theory Project, one of the world's largest research centers for the theory, modeling, and computation of complex, atomic, molecular and materials systems, where he obtained his PhD. Dr. Relyea also attended the International Summer Institute for Atomic, Molecular and Solid State Theory at Uppsala University (Uppsala, Sweden) and Dalseter, Norway. Ms. Fioretti, Vice President Proposal Development, has been with EPS since January 1990 and is responsible for ensuring the development, authorship and timely submittal of proposals and responses for U.S. federal government solicitations. 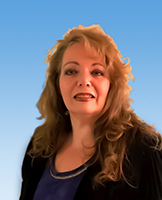 She develops and maintains direct working relationships with Business Development and EPS division lead personnel and provides proposal development guidance. Ms. Fioretti also provides management and leadership to Proposal Department staff and serves as Quality Management Systems Director by managing and maintaining the EPS Quality Management System (QMS) comprised of company processes and procedures. She ensures continual improvement by conducting Quality Audits and reports on the performance of the quality system, as well as achieving and maintaining ISO 9001-2015 and AS9100-D Certifications and assuring that our ISO certifications are in line with our CMMI Level III procedures. 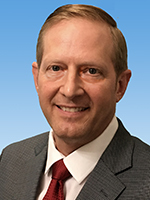 Mr. Zell serves as the Vice President and General Manager of EPS Field Services and Network Solutions divisions. Mr. Zell possesses consummate capabilities in the areas of instructional methods, curriculum development and personnel supervision. His responsibilities include the development of business processes and fiscal performance, business development, calculated forecasting, proposal development and program management. In addition, Mr. Zell pursues opportunities to further develop the division’s broad business base of Training, Fielding, Logistics, Foreign Military Sales, Help Desk Support, Network Engineering, and ISP/OSP Plant Support. He manages the daily activities of both divisions, with employees located world-wide. Prior to joining EPS in 2012, Mr. Zell retired from U.S. Army Communications field with over 21 years of service before entering the private sector in 2004. He holds a Bachelor of Science Degree in Business with a specialization in Administration. Mr. Porrovecchio, Vice President and General Manager, EPS Alternative Energy Systems Division, joined EPS in April 2014. He has served public and private sector carbon reduction and energy efficiency objectives through innovative design, installation and financial arrangements. Mr. Porrovecchio continues to utilize his certificate in Leadership in Energy and Environmental Design (LEED), a program focused primarily on new, commercial building projects and in the management of two successful EPS solar installations for Walmart in California. Lt. Colonel Porrovecchio, USAR, retired in 1999 with 28 years of service. As an engineer officer, he formulated, designated and managed construction of MILCON and humanitarian projects CONUS, Korea and Panama. He also served as Panama Garrison DPW and Jungle School advisor. He reinstated for active duty in Afghanistan in April 2005 and he retired again in November 2005.